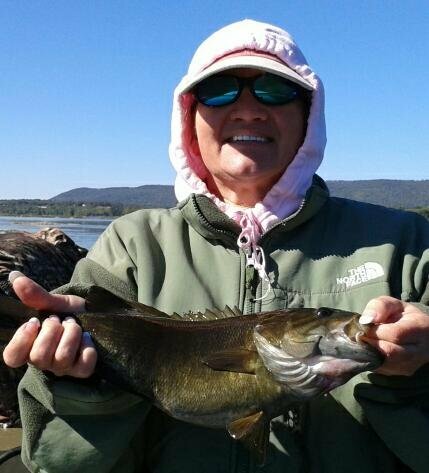 Susquehanna Fly and Spin Guide Service fishing report for late August: Closing out the month of August, there has been plenty of action for my happy clients. 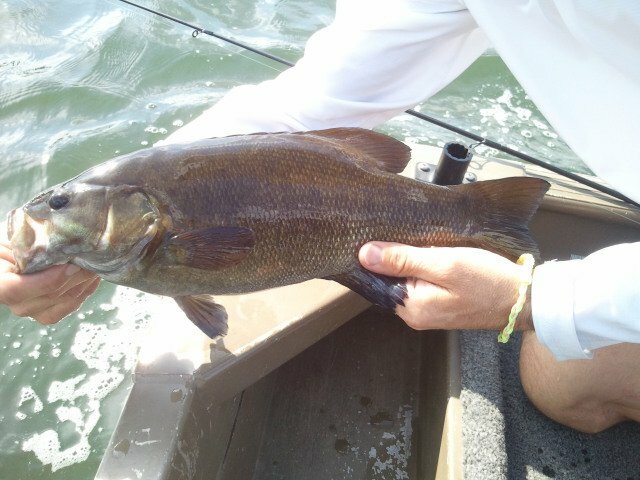 The Smallmouth have been taking various lures and flies. They have been fighting all the way to the boat. 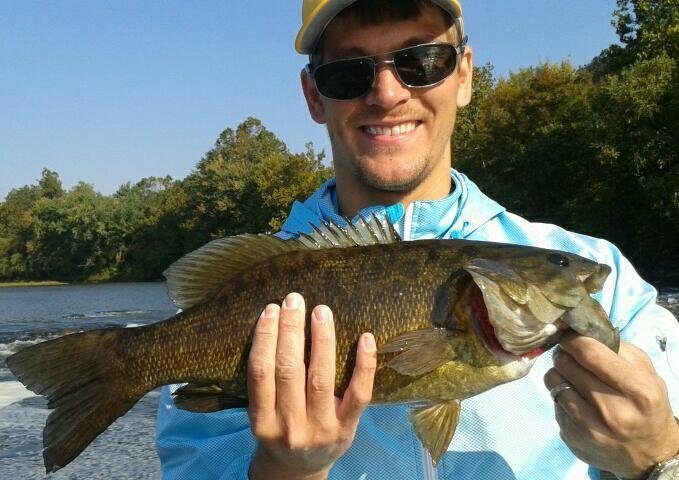 There continues to be alot of various size fish around, especially numerous big boys cruising and feeding. 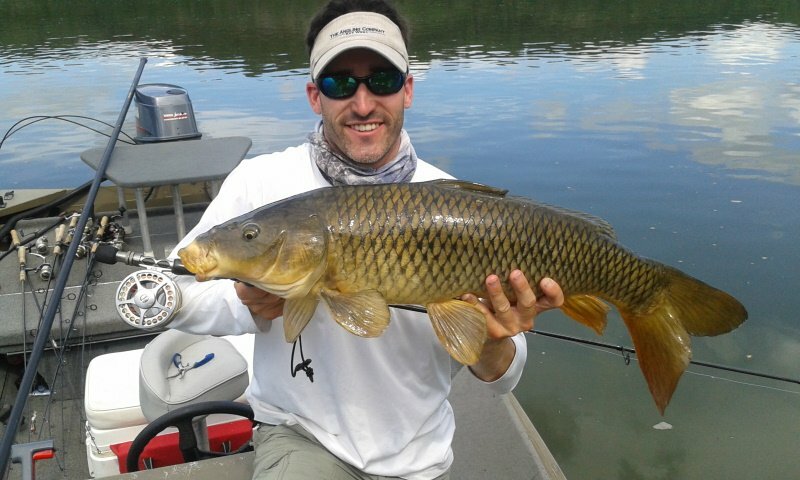 For the fly fishing addict, there are plenty of large Common Carp. Get bent with us this summer and fall. 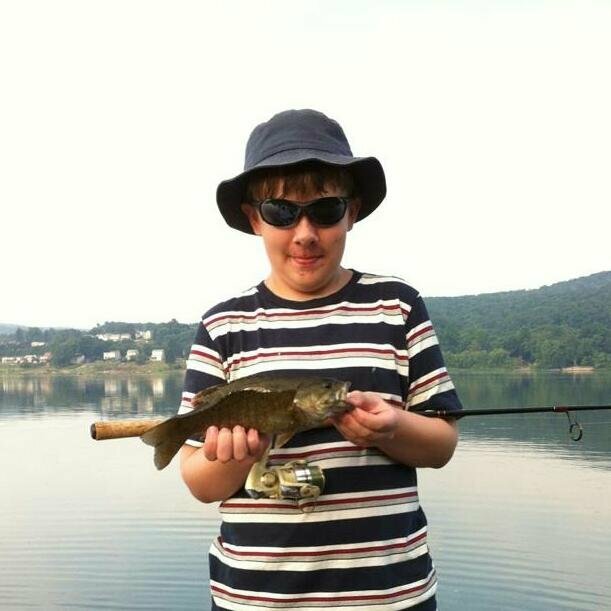 Your Susquehanna River fishing guide, Steven Hancock! 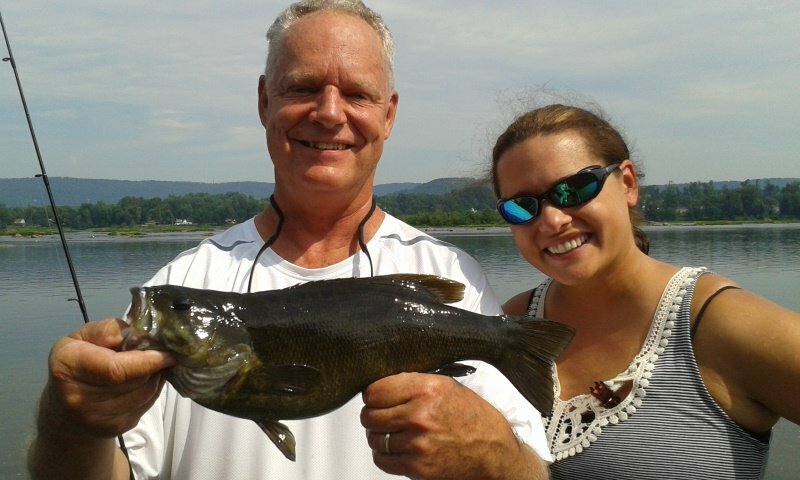 Susquehanna fly and spin guide service fishing report for August 2012: The fishing has had steady action! 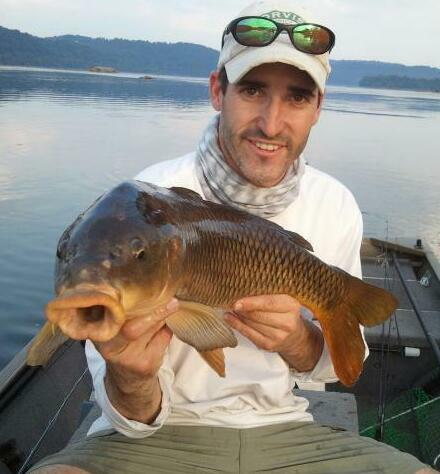 The fish have been eating both flies and artificial lures. 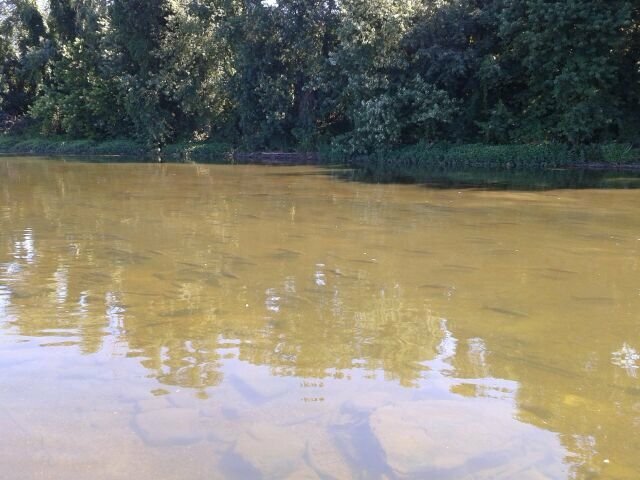 Carp on fly action has been great and for a few days we have had them eating flies aggresively! We landing 3 fish in one outing. Nothing like seeing them take a fly and then peel drag off the spool. Give us a call to get in on the action! Your susquehanna river guide Steve Hancock. 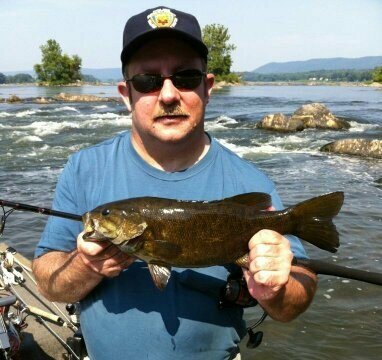 Susquehanna River Fly and Spin Fishing Report Late June 2012: The Smallmouth fishing on fly and spin gear has been good some days and others only a few making it boatside. 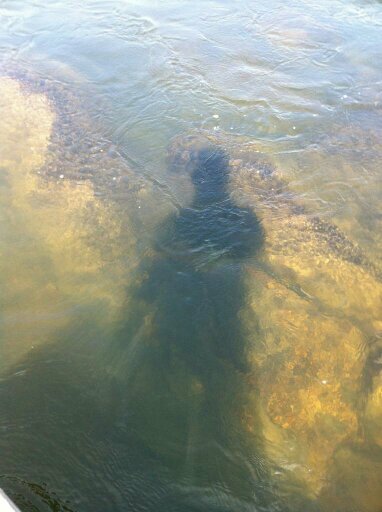 Lately we have had nice clear water conditions and have been seeing some really good size smallmouth roaming and feeding. I have also been seeing and catching some medium to smaller size fish which may be a good sign for the coming years population. Some Large shad are around as well in the 12-16 range. 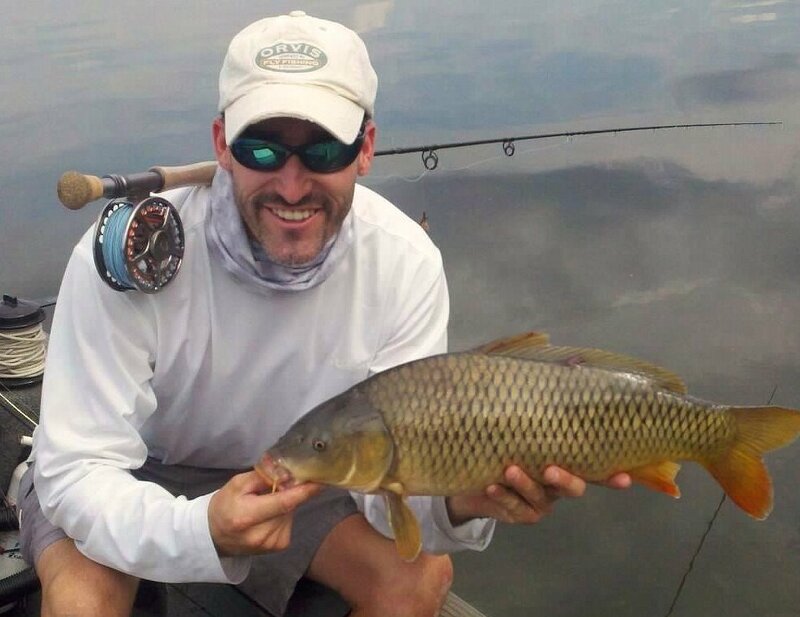 The golden Common Carp have provided some good fly action lately. A little patience, stealth, an accurate cast, and an enticing presentation with the right fly can result in some rod bending and drag screaming fun. 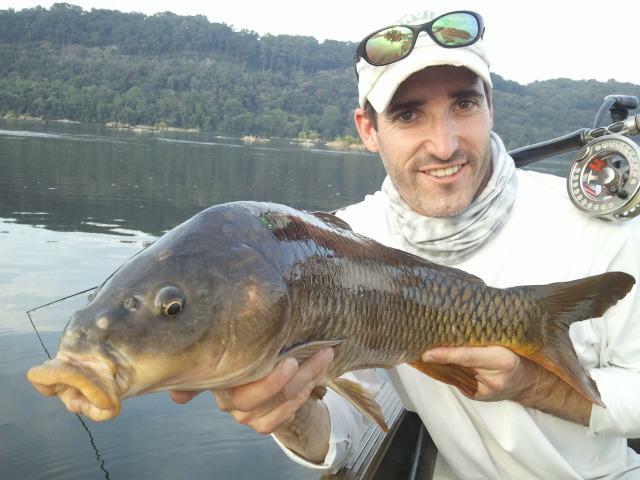 Carp fishing on fly is a world away from the old bait days of carp fishng with corn,dough balls, etc. These fish at times can humble you pretty quick when it comes to feeding them a fly, but when you get them to eat its an awesome fight! 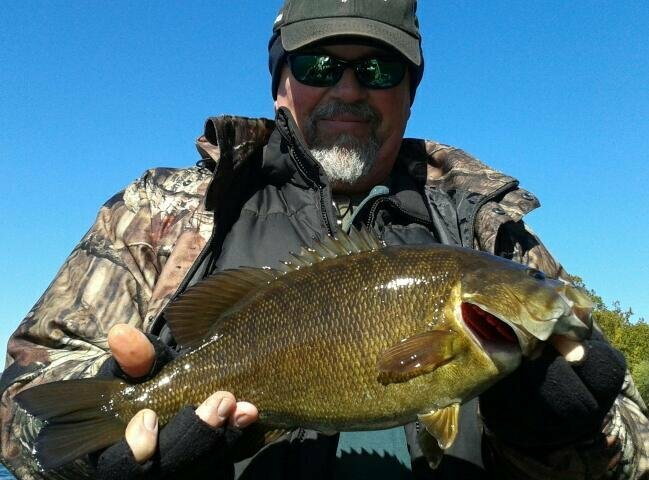 I provide combo trips where we do smallmouth 1/2 the day and carp fishing the other half of the day. This way you can experience the hunt for both of these hard fightng fish. Don't forget we also have several large species of catfish and walleye that inhabit these waters as well. 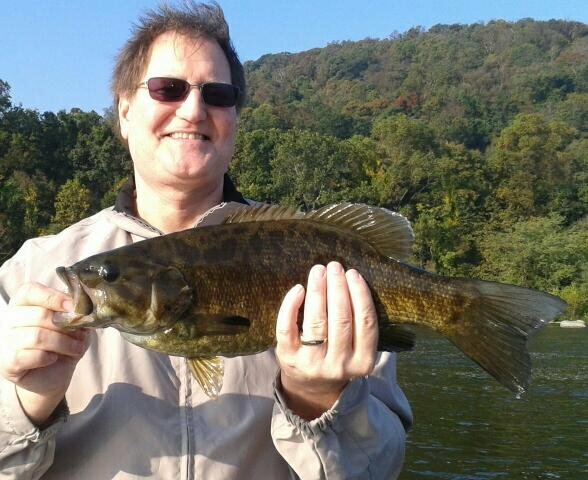 Give me a call to get you to the action and enjoy the summer time phase of the Susquehanna River. 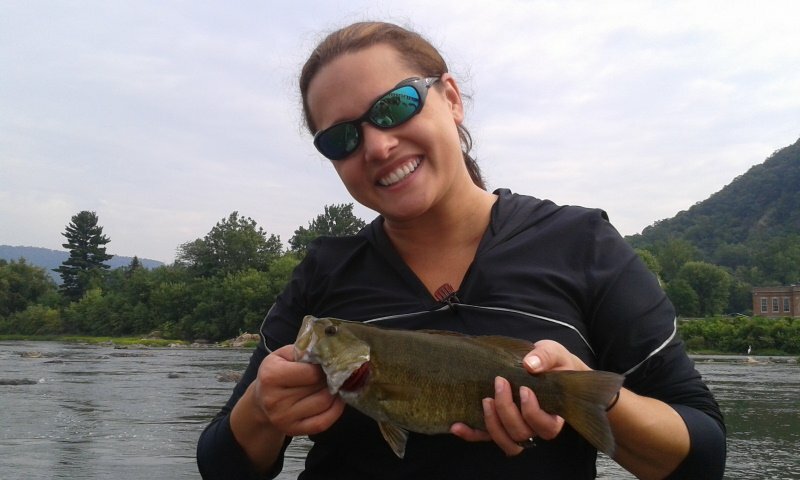 Susquehanna River Fly and Spin Fishing Report for early June 2012: This week has been decent and we have been getting smallies on both Fly and Spin gear. 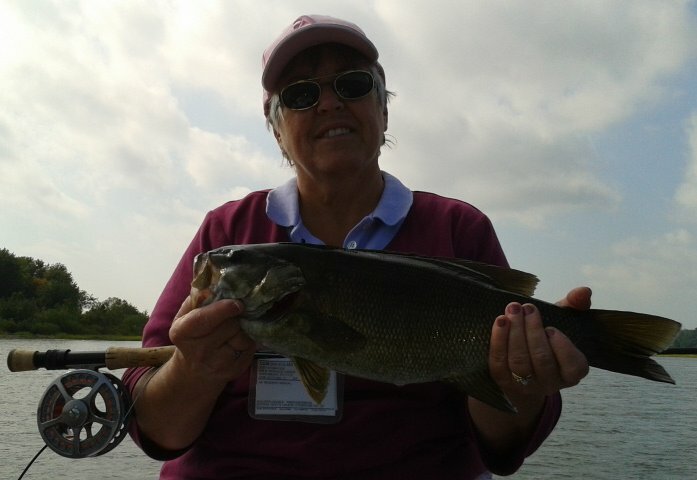 A mixture of small, medium, and large size fish up to 18" were making it boatside. The larger fish were taking a fly I developed, the "Hancock Craw" fly. It imitates a crayfish very well in appearance and in movement when stripped or at rest. 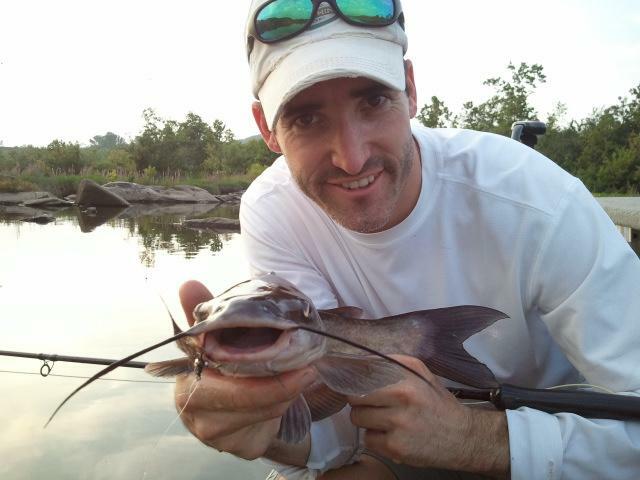 There are walleye and several species of catfish that also can be targeted for a variety of fishing fun. 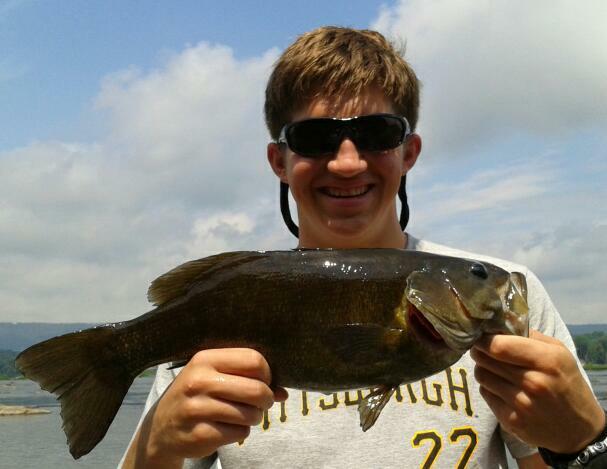 Give us a call to get in on the hot summer action here on the Susquehanna River. 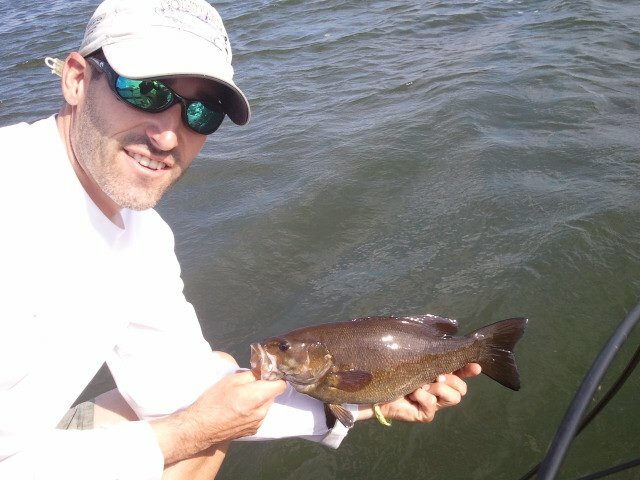 Susquehanna River Fly and Spin Fishing Report for June 2012: Well I have returned from another tarpon season in the Florida Keys and it was awesome. If you have any interest in fishing some of the Best shallow Saltwater flats species fishing in the world on fly or spinning gear give me call. I am taking bookings from february through June 2013. 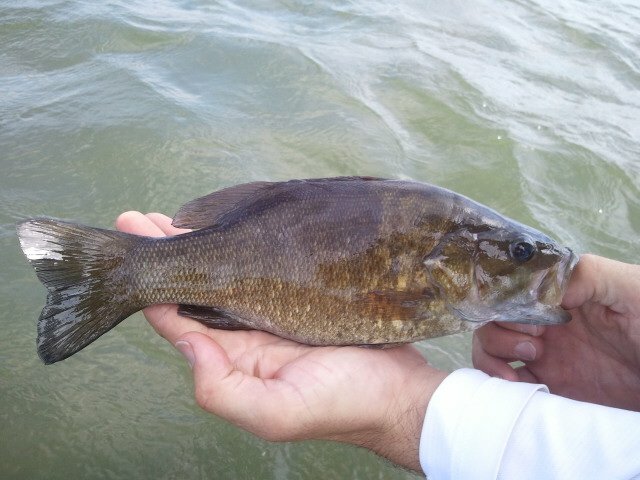 AS for the Susquehanna it seems the spawn has all but finished and the smallmouth fry are up on the shorelines and islands. Hopefully this was a good spawning year and they will survive to become larger and make it to the adult stage smallmouth bass. Lots of political and conservation work needs to be done to preserve our fishery and maintain its reputation as one of the best Trophy Smallmouth fisheries in the country. 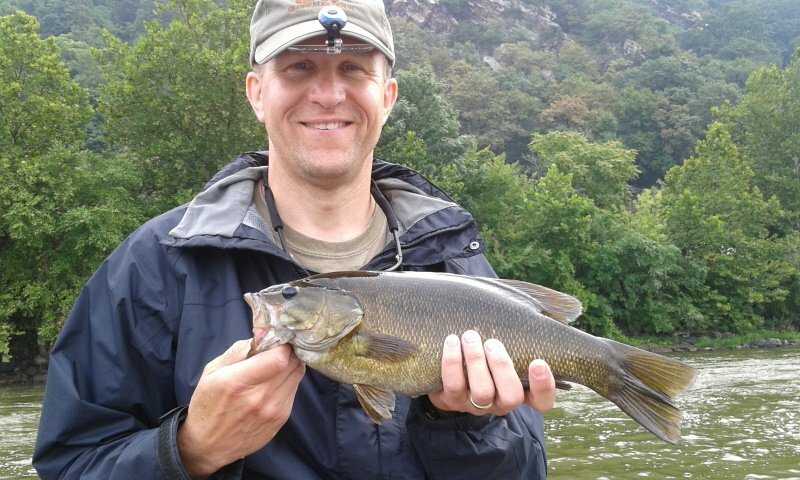 Smallmouth here on the Susquehanna River range from 10" up to 21" and 1lb - 4.5lbs. 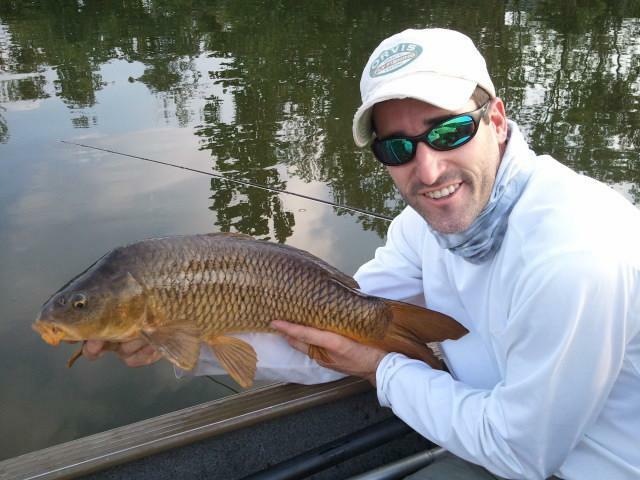 Average fish are 14-16 inches and provide great action on fly and spin gear. 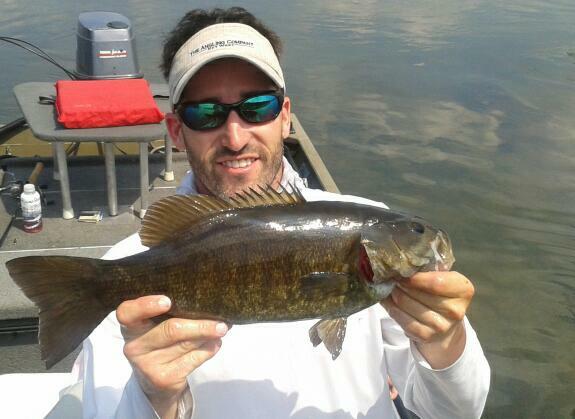 This smallmouth season has been closed since may 1st and will reopen to fishing mid june. 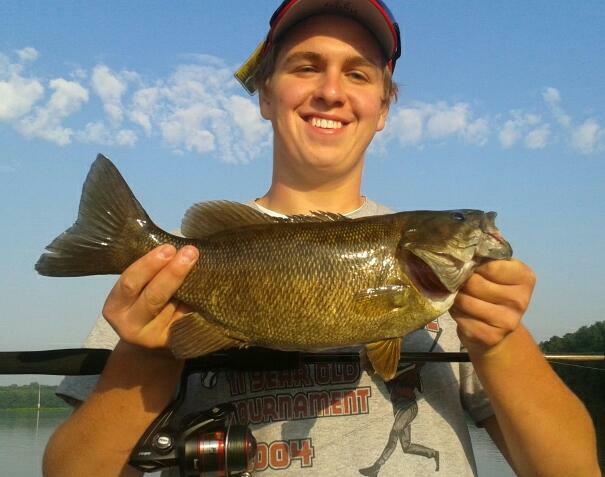 Give us a call to get in on the great summer and fall smallmouth action. 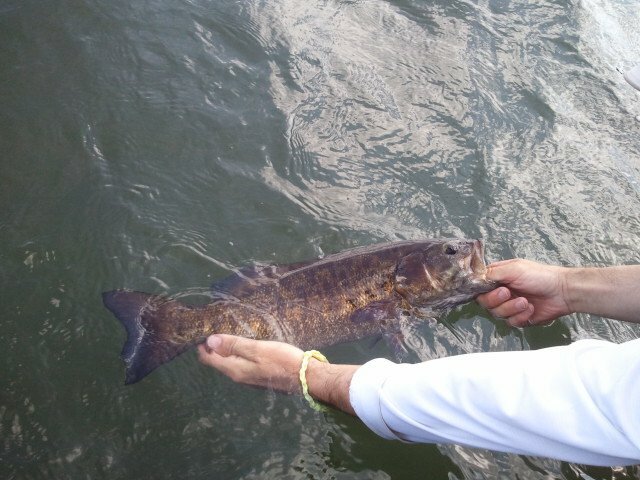 The fish that are hear are on the larger size and really fight and jump all the way to the boat.